“Blood-selling” was one of the main causes to the Anhui Province HIV epidemic among underprivileged agricultural workers in the end of last century. Facing the challenge of little prevention, undereducation and restricted access to antiretroviral treatment, the outbreak brought a high prevalence of mother-to-child transmission, as well as death, to the Province. The Fuyang Aids Orphan Salvation Association (AOS) began its work by providing HIV-positive children with physical examinations in Beijing and securing pediatric anti-retroviral (ARV) treatment. In the course of one year, over 100 children looked to AOS for support, and now support is given to over 600 children and their relatives and families. The total scope of the support extends to over 6,000 people. Of the 600 children affected by HIV/AIDS, around 25 children are infected with HIV/AIDS. The majority of AOS children do not have HIV/AIDS, but are “affected” by HIV/AIDS, meaning they come from families where either one or both parents are infected by HIV/AIDS. The AOS children come from 300 separate families and over 40 different villages throughout Fuyang and Henan province. This research aims to understand the challenges and services needs of the children receiving support from the AOS along their growth. 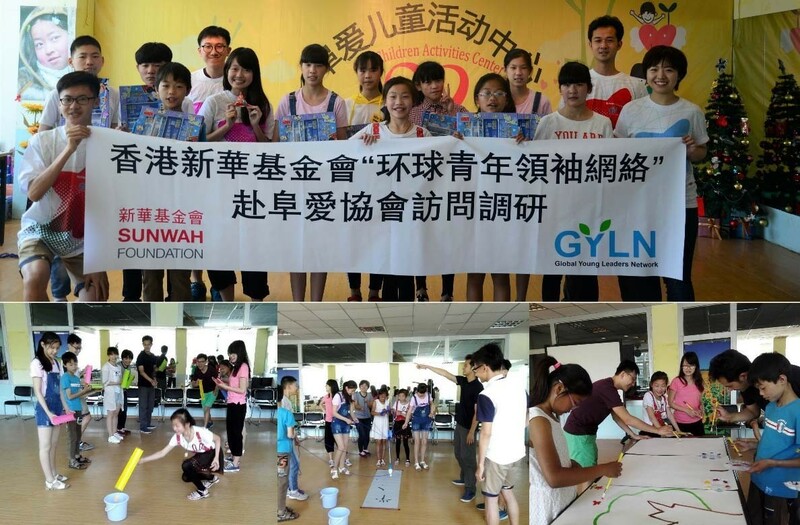 The two-days visit was co-organized by the Beijing Chapter, Hong Kong Chapter and United Kingdom Chapter of the Sunwah Global Young Leaders Networks (GYLN). After our arrival to Fuyang in the morning, we paid a visit to AOS’s Director Zhang Ying’s house. 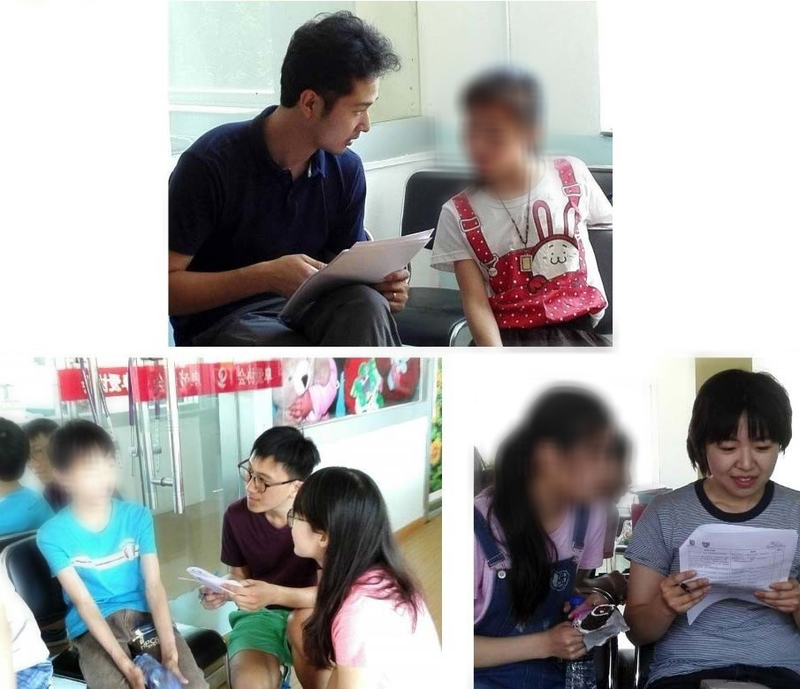 Director Zhang is currently taking care of 5 AIDS orphans. One of them was sent to Beijing for medication at the time of our visit. During the visit, we had an enjoyable conversation with the children, and gained understandings on their lives. We also visited the office site of AOS and met the workers there. A meeting was held afterwards to prepare the events and investigations on Day Two. We spent the morning in center to play games with the children and understand their background. Since some of them are living in the villages away from the city center, it took some hours for them to travel to the AOS center. To build trust and relationship with the children, we had prepared group activities and drawings together with the children. Following the group activities, the scheduled survey was conducted with the children. 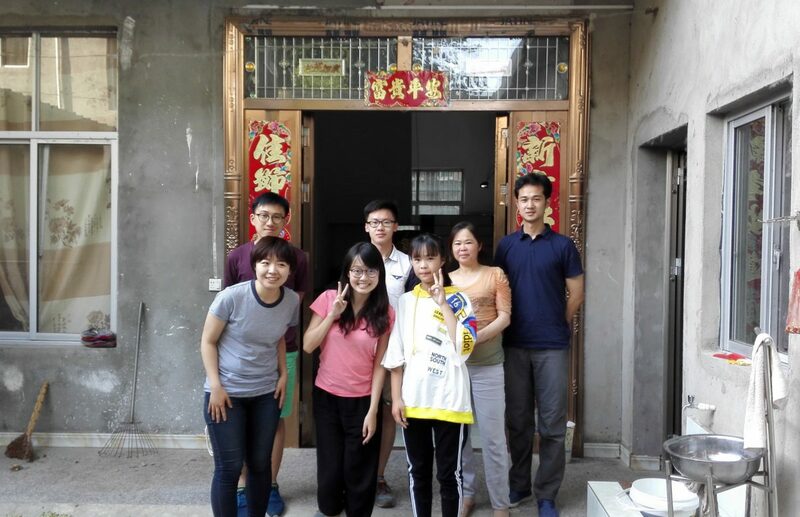 In the afternoon, we paid two home visits to the orphans living in Lixin County. Firstly, we went to the home of boy Dai. Dai is living with his grandma and little sister, while his parents are both out of work. The second family we visited was the Wu. In the evening, we caught up with Gao, one of the kids staying in Director Zhang’s house, in the train station, and returned to Beijing afterwards. Director Zhang is the founding director and person-in-charge of the AOS. In the previous decade, she has devoted herself to sponsor the children affected by the HIV epidemic in Anhui. Currently, there are 7 staff working in the AOS. They are responsible for the disease control and prevention among those affected children and adolescents. Wang, one of the previous service recipient in AOS, is now working in AOS as fulltime staff. Her parents died because of HIV infection when she and her 2 siblings were young. Fortunately, three of them are free of the virus. From her sharing, we understood that the children would gather and do homework in AOS office during weekends. She also shared with us the situations of the children. One of the service-receiving children, who is now 16, was a drop-out from school since primary one. Some other children were reported to have dropped out from school due to financial difficulties. From this information, we learn that the HIV status poses more harm to children’s education in grassroot, which require more support and service. Lixin County is 2-hours ride away from Fuyang, where the AOS office is in. We paid visit to two of the HIV affected families there. Dai is a 16-year-old boy living in the County, who is living with his grandmother and little sisters. He and his family live in an old, 2-floor house built in concrete. The hygiene environment was unfavorable and there were flies around. His little sister, instead of staying indoor, was playing on the muddy floor. His parents were infected with HIV through ‘blood selling’ in the early 2000, and were not diagnosed until giving birth to the two children. Two of the three children were infected with HIV from their mother, while the youngest daughter, although was not HIV positive, was diagnosed with meningitis and therefore cognitively impaired. The scarce farmland in the village makes it impossible to rely on income from agriculture. To earn more income, the parents are working in the city and could not afford to meet once a year. Despite all the hard work of the adults, the financial burden of the family still put strains on the next generation. As a result, Dai only managed to finish his primary school study. Another girl, Wu, is living with her mother in the house nearby. Her mother was infected by HIV a decade before from ‘blood selling’, and transmitted the virus to her daughter. Since the diagnoses of the Wu’ HIV status, the father of Wu divorced with his wife and left the family. The elder brother of Wu, therefore, chose to work in Nanjing and beared the family responsibilities. Currently, the family could barely make a living with the financial subsidy from the Government, and AOS, and the payment from part- time jobs. However, the family is now in debt for the house renovation in preparation for the elder brother’s wedding. The financial burden is heavily bothering their lives and poses damage to their quality of life. Also, the limited promotion on anti- stigmatization, little education and mental support to the children living with HIV, make Wu an introverted girl, worrying of her HIV status being exposed. Twenty-three responses from the HIV infected children were collected from the AOS. Among them, 14 (60.9%) of them were female. The mean age was 14.3 years old, with an expected education level to secondary 4; however, their average education level was only up to primary 4. 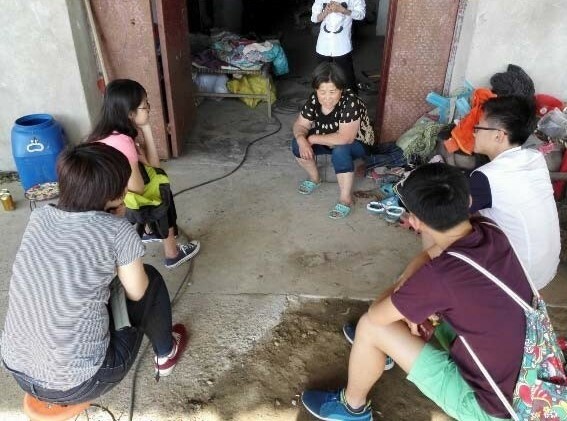 Six of them (26.1%) lived with both of their parents, 10 of them were living in single parent family (43.5%), while the others are living with other family members (N=3, 13.0%) and with Director Zhang (N=4, 17.4%). 14 children (60.9%) were not given any pocket money. In terms of medication seeking, only 4 of the interviewees (17.4%) found problem with access to medication. However, 13 children (56.5%) felt to be stigmatized during hospital visit. Their mental health was assessed with The Patient Health Questionnaire (PHQ-9). From the results, 7 children (30.4%) reported to have depressive mood, while 3 (13.0%) had higher tendency of having minor depression. The results indicate that more support should be put on the anti-stigmatization in healthcare institute and the mental support on children living with HIV. Since 2003, AOS has been providing medication to the children living with HIV. However, as informed by our study findings, we realize that the services needs of HIV affected children are now for education, and mental support. Regarding the above classification system, GYLN members will form support groups and design care plan for these children enlisted in Level I. For instance, in supporting the children living with HIV, counselling and emotional support will be provided with the aid from professional consultants; while for children who are suitable for education, assistance could be provided to support their continuation of education. For the children classified to be in Level II, support should be given on one-on-one or one-on-several scale. For the adolescent who have discontinue to go to school, support should be given in order to support their study in technical schools. 2. Explore future opportunity to work with AOS and provide necessary support to the functioning of the Currently, AOS is working with Smart Education to provide training on drawing to the service receiving children, so as to support the future development of the children. 3. Sunwah Foundation may consider establishing a fund to support the children affected by the HIV epidemic in China.